With five kids, my oven gets a pretty good workout. When everyone is home, especially during holidays and vacations, we are cooking and baking non-stop. 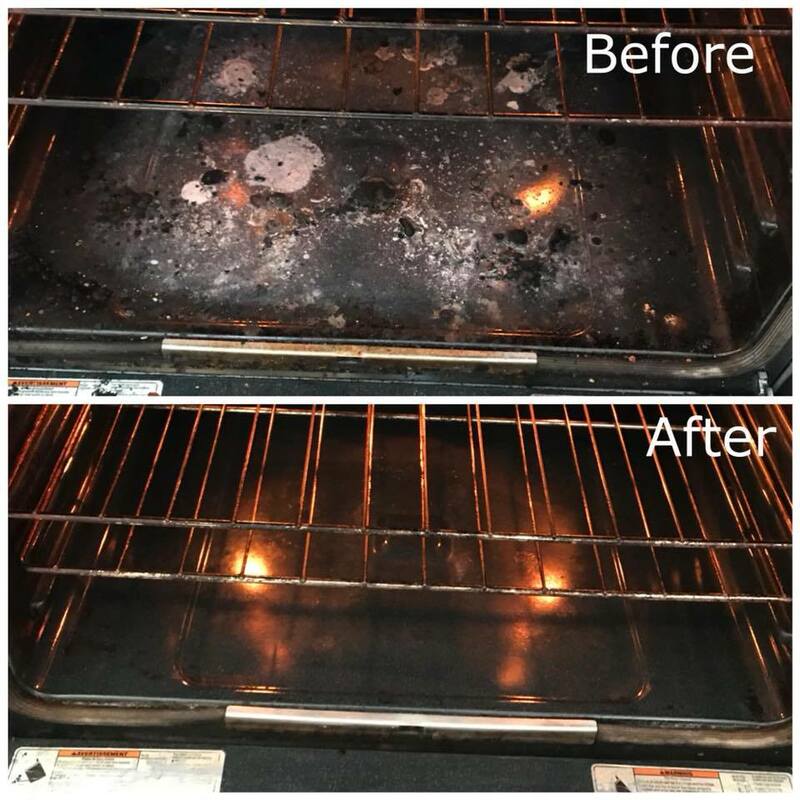 Thankfully, I have the Norwex Oven & Grill Cleaner which goes to work to dissolve the baked-on, burnt-on food and stubborn, greasy spills that are left behind. 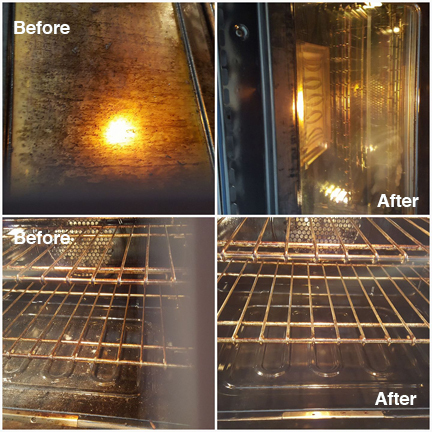 You don’t need to use harsh chemicals, wait for hours, and open every window in the house, to get your oven or grill clean. Simply warm it up, spray the cleaner, and let it sit for five minutes. Scrub tough spots with the Norwex Spirinett, and wipe away the grime. Repeat as needed. It’s great for quick clean-ups between major meals so that you aren’t overwhelmed by the state of your oven by the time everyone goes back to school! Best of all, it’s all-natural so you won’t be getting headaches from toxic chemical fumes as you clean. An enzyme cleaner, the Oven & Grill formula is natural, water-based, and biodegradable. Use it on any oven or grill and pots, pans or bakeware. I LOVE this great product. But don’t take my word for it. 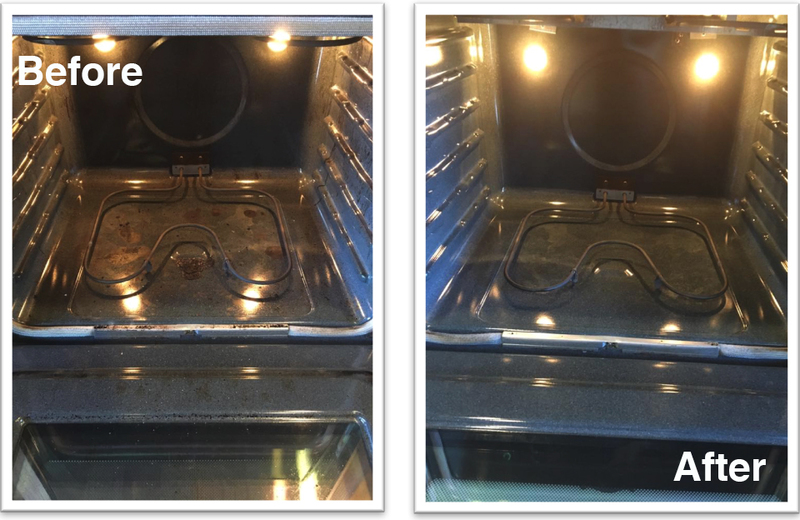 If you are still in doubt about the effectiveness of the Oven & Grill Cleaner, a picture really is worth a thousand words.